Adventures in Composting is a regular series written by Jason Silverman, a composting newbie and blogging enthusiast. I’ve been “composting” yard waste in plastic bags around the yard, putting off getting a composter. I didn’t know which one to get. They’re mostly ugly things. I figured it wouldn’t work anyway; I’d just wind up with rotting watermelon rinds in a rain barrel. Also, they’re kind of expensive. But the other day I was feeling flush and confident, and also my wife was asking me why I was keeping all those plastic bags of grass and twigs scattered about the property. And I got tired of shelling out money for bags of soil amendments that I’d need to shlep back from the garden center and forget about. 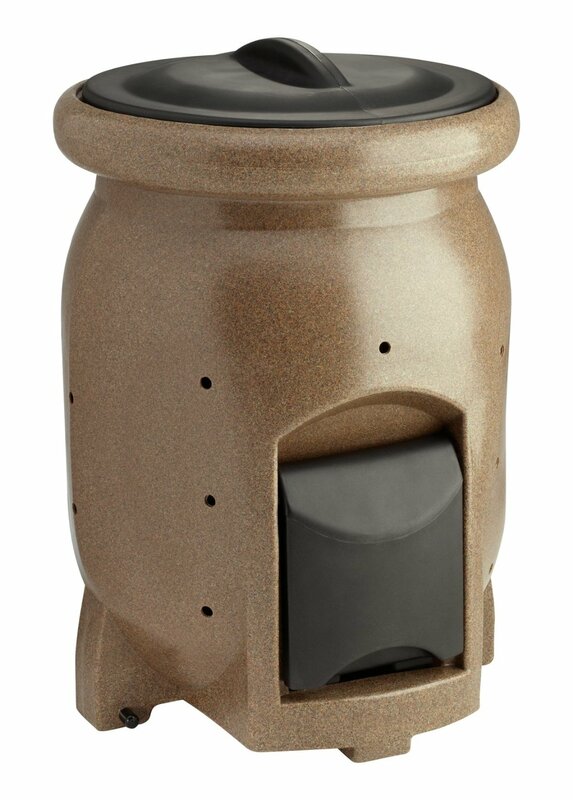 So I ordered a fine-looking composter with a snazzy Japanese name that surely means it’s well-designed and efficient. It also has a spigot for compost tea, which I hope tastes as good as it sounds. And it has a nice little trap door at the bottom for taking out what I hope is actually compost and not just plain month-old garbage. Here’s a photo. I hope it composts as good as it looks. You didn’t just make a compost pile? 😛 It’s far less expensive…! Good question! And believe me, I wish I could have spent that money on something else, like beer. But (a) what fun would that be, and (b) we don’t even have a quarter acre to work with!